Previous: Top 5 Rappers In The World . . Do You Agree? 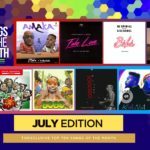 Trends, one thing that surely rules the Nigerian music industry. 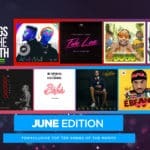 Nigerian artistes really know how to capitalize on trends in the music industry as most of the songs that become “street shakers” always revolve around a particular trend. For instance, when “Azonto” was the rave of the streets, one can say the dance move gave birth to songs like Azonto from Wizkid and Fuse ODG. So also the Calabar dance trend “Etighi” gave birth to songs like Kukere. Not quite long ago “Gwara Gwara” was the major dance trend which gave inspiration to Patoranking’s Available. 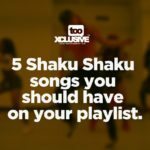 Currently, Shaku Shaku is the current rave of the streets and almost all the hottest songs on the streets right now are related to the dance move. Shaku Shaku has inspired several songs recently including Diet by DJ Enimoney which featured Mavin Record’s finest, Tiwa Savage, Slimcase & Reminisce. 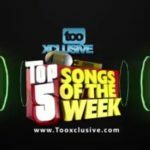 Mayorkun’s BOBO featuring label boss, Davido is also another buzzing song on the streets. Although it has a love theme, the tempo of the song is no doubt Shaku Shaku-like. Naira Marley’s Issa Goal is one song that has been unable to leave to playlist since it dropped in December 2017. The tune which featured YBNL boss Olamide and Lil Kesh, since its release continues to buzz at many street corners. Are there more songs buzzing in your streets that we didn’t mention? Share them with us below. Zoom Zoom by DjZoom Ft King-Ezzy is the real thing! Heating up the street all the Waaay!! SOCO still remains the best street jam, never to compare ?? ?